Historiography is the study of how history is written and how our historical understanding changes over time. 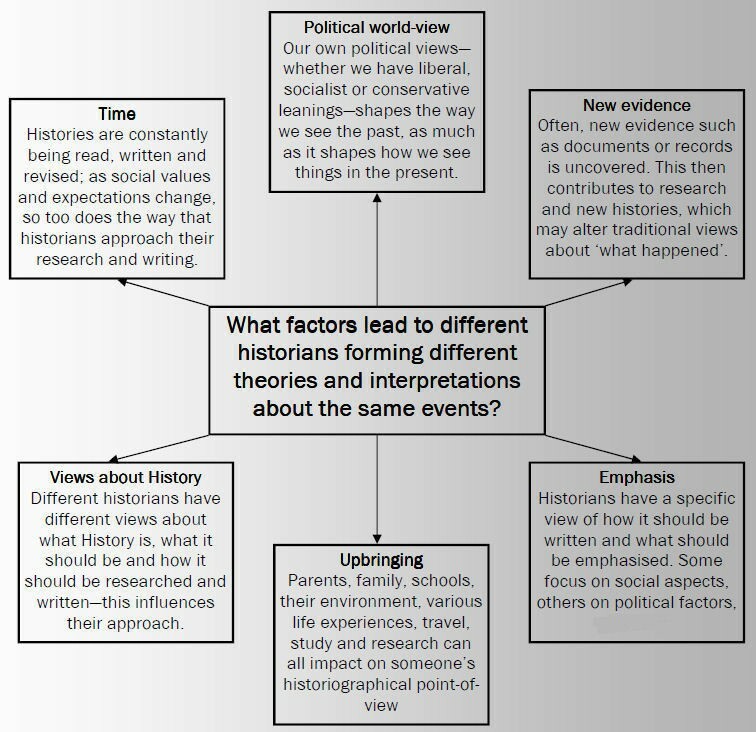 Historiography considers the approaches used by historians and seeks to understand how and why their theories and interpretations differ. While the past itself never changes, history – in other words, our understanding of the past – is always evolving. New historians explore and interpret the past through their own methods, priorities and values. They develop new theories and conclusions that may change the way we understand the past. Historiography acknowledges and discusses this process of change. Historiography is a difficult and complex field of study. It is a critical component of most college or university-level history courses, where students are expected to know about the past and how it has been interpreted over time. Many senior secondary and high school courses also include some basic historiography, usually through the study of different historians and different historical perspectives. How and why particular actions, events or ideas came to be (causes). The outcomes of particular actions, events or ideas (effects or consequences). The contributions made by different people, groups and ideas (actions). The relative importance or impact of different people, groups or ideas (significance). Things that altered and things that stayed the same over a period of time (change and continuity). Unlike the physical sciences, history often churns out different answers to the same question. Historians frequently study the same sets of facts but end up reaching different explanations or conclusions. As an analogy, think of a significant historical event as a major sporting fixture, like an important football match watched by thousands of people. Football matches have factual outcomes: scoring charts, a final score, team and player statistics, player injuries and so forth. Explaining these outcomes, however, can be a very subjective process. Witnesses to a football game might attribute the outcomes to various factors: player selections, the performance of individual players, fitness or injuries, umpiring decisions, weather, ground conditions, ‘home ground advantage’, coaching tactics and so forth. There may be some consensus about these causes but there is rarely total agreement. In some respects historians are like sports journalists: they explain outcomes after the fact, relying on evidence but also their own judgement and interpretations. These interpretations can vary markedly, to the point where the work of one historian may directly contradict the work of another other. The word “historiography” can also describe the body of history written about a particular person, period or event. The ‘historiography of the French Revolution’, for example, describes every significant history book written about the revolution. Some of these historiographies can be enormous. Millions of history books, articles and reference texts have been written about topics on the Alpha History website. This does not mean these histories are ‘exhausted’, however, or that no new history is being written. This is far from the case. Public interest in historical periods like the American Civil War, Nazi Germany and the two World Wars remains high. This interest drives new research and commercial demand for new books. Sometimes new books contain no significant new ideas: they simply rehash existing knowledge and present it in a different form (as Max Beerbohm once put it, “history doesn’t repeat itself, historians repeat one another”). But some books do offer new evidence, interpretations or arguments – and sometimes they challenge our existing understanding. The image here (left) shows a tower of books in Washington DC, just across from Ford’s Theatre. 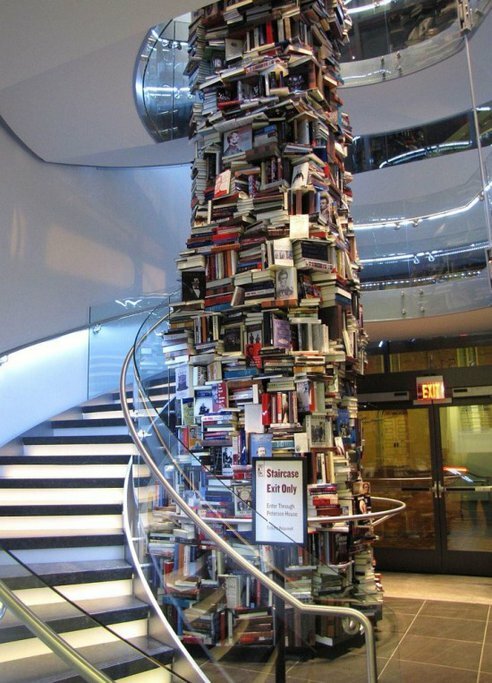 It is constructed from books on one topic: Abraham Lincoln. 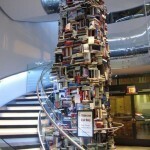 All books in the tower are unique; it contains only one copy of each book. Among these texts are studies of Lincoln’s childhood, family and personal relationships; his legal career and entry into politics, his presidency and leadership during the US Civil War; his attitudes about slavery and African-Americans. Each book contains the author’s own interpretation of Lincoln. Some have advanced some new evidence, ideas or theories and others have not. Such a tower can only exist because history is a living, growing subject, filled with different ideas, voices and perspectives. Those setting out in a senior high school or undergraduate history course will find historiography challenging. Learning about the factual detail of the past is challenging enough but learning about different interpretations of the past is particularly daunting. As with most significant journeys, the best way to start is with manageable steps. First, understand that history is an ongoing dialogue, not an unchanging concrete monument to the past. Understand that each historian provides a different view of the past and that no historian is above challenge or questioning. As you read historians, think critically about the conclusions they reach and the arguments they present. Ask yourself how other historians might interpret the same set of facts – and ask yourself what conclusions or arguments you might reach. When researching or studying, compare and contrast the writings of two or more historians on the same topic or issue. When writing about a historical topic, acknowledge that different historians hold different views about it. Most importantly, ease yourself into historiography rather than diving in head first. Trying to take in too much information and too many different perspectives will only confuse you and muddy your thinking. As your skills improve and your understanding of historiography grows, so too will your ability and confidence. 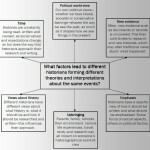 J. Llewellyn and S. Thompson, “What is historiography?” at Alpha History, https://alphahistory.com/what-is-historiography/, 2014, accessed [date of last access].